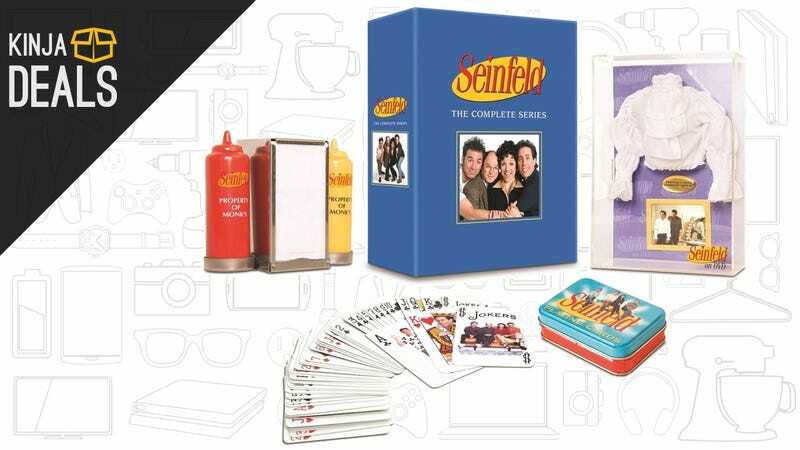 Today only on Amazon, $50 gets you the complete Seinfeld DVD pack, a set of playing cards, a framed puffy shirt, Deli-themed salt and pepper shakers, bonus features, yada yada yada. 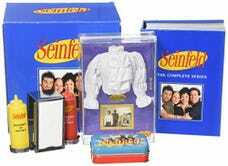 [Seinfeld: The Complete Series 2015 Gift Set (Amazon Exclusive) [DVD], $50] Commerce Content is independent of Editorial and Advertising, and if you buy something through our posts, we may get a small share of the sale. Click here to learn more.